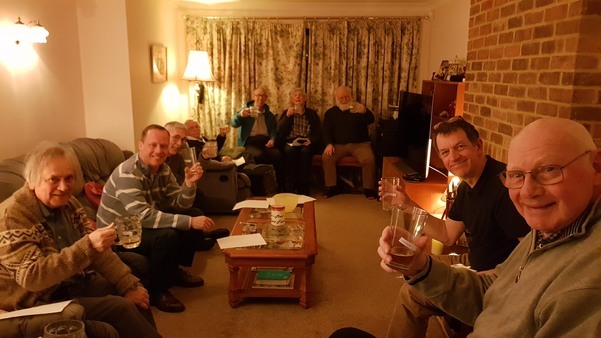 On Monday 26th February, George’s Men held their beer tasting evening. Participants brought a selection of bottled beers for sampling. Chris slightly upstaged everyone with beers named after him from Gadd’s Brewery, Ramsgate, whilst some other members presented beers that had been gathered during their recent travels in the UK and abroad. Samples of each beer were served and only after the awarding of a mark out of 100 was the identity disclosed. Slipping in a bottle of Nanny State and St Peter’s Without failed to fool anyone, the absence of alcohol in those two brews being spotted immediately. There were other beverages somewhat stronger, with Harvey’s Star of Eastbourne at 6.5% and Bateman’s Victory Ale at 6%. Half way through the proceedings a supper of pasta and pizza was enjoyed by all. By the end of the evening a significant number of bottles had been opened, and palates were somewhat shattered, but David Palmer, overseeing the voting, was able to announce the winning beer as Hook Norton Old Hookey (4.6%), with Black Sheep Ale (4.4%) runner up and a tie for third place between Hobgoblin and Old Speckled Hen. 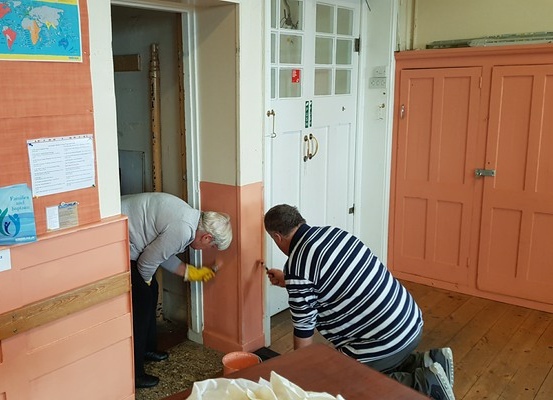 George’s Men have held working parties to clean up the Church Hall. 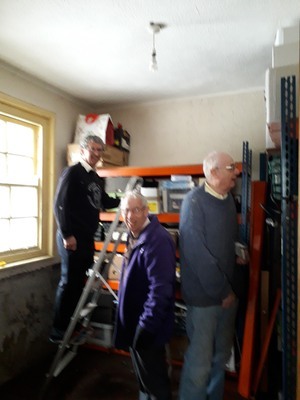 Pictured below, tidying up the store room and touching up some paintwork.